yesterday i decided to head out to town for a look around and to treat myself to some goodies. It's been a while since I bought new clothes and had a good look around the shops, so I headed straight to one of my favourite shops Primark. They have some great items in there and I knew I wanted to treat myself to a new bag. I love the gold detail on the bag which is what sold it to me, I also like small bags that fit in just what you need for work, going out. 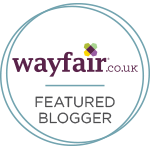 This one is a lovely shape, small enough and light enough to fit in some goodies. I really like to front zip pocket which I possibly could put my car keeps in. 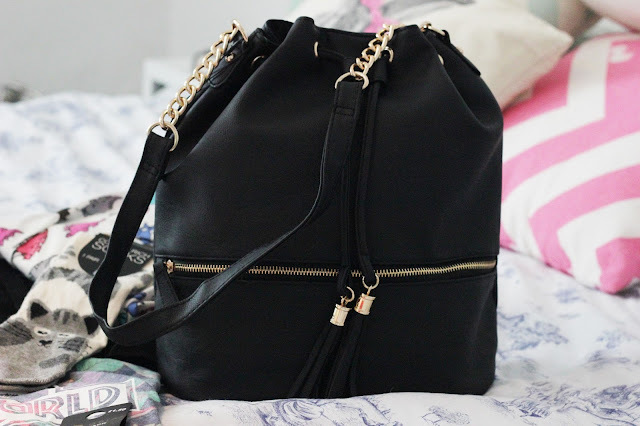 This bag was a bargain at just £8 and I love it. 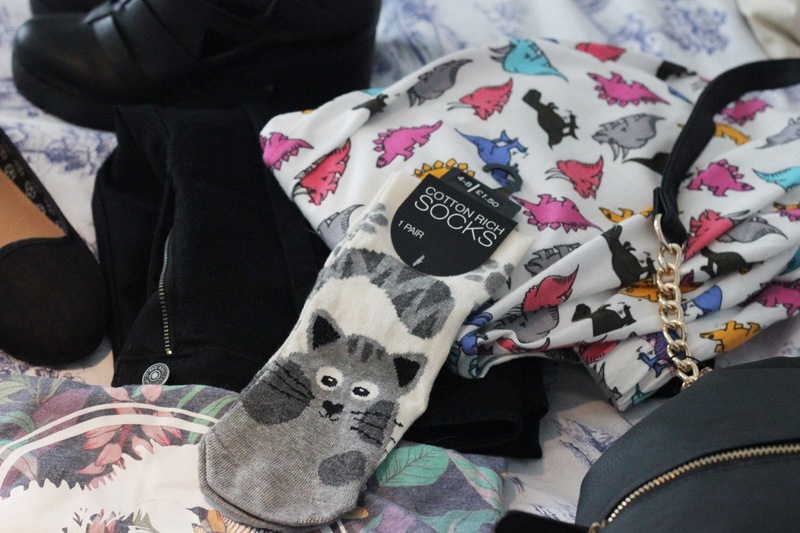 In Matalan I decided to buy these cute cat socks, no new can resist cute new socks. In Primark I always head over to the pajama section and without fail I always end up with a new pair. 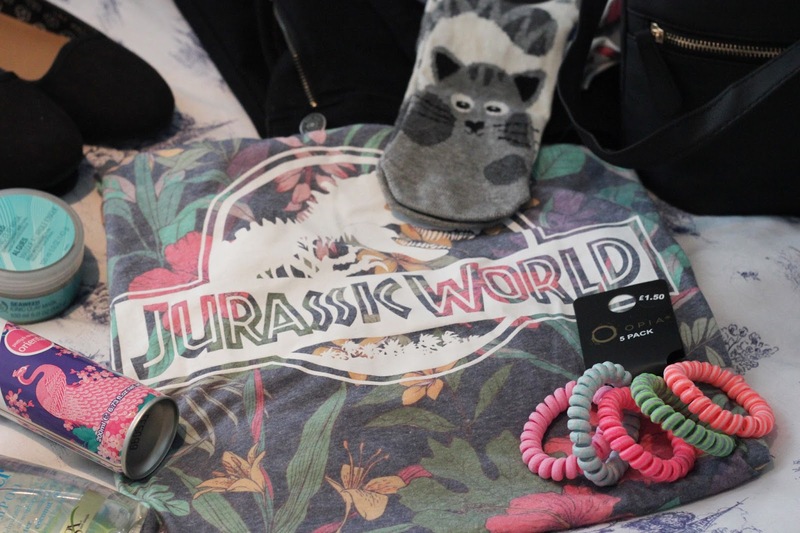 When I am home relaxing I like to wear comfy clothes and the fact they had dinsosaurs on them sold it straight away. They are £5, I wasn't too keen on the top that matches the bottoms because of the logo but still cute. 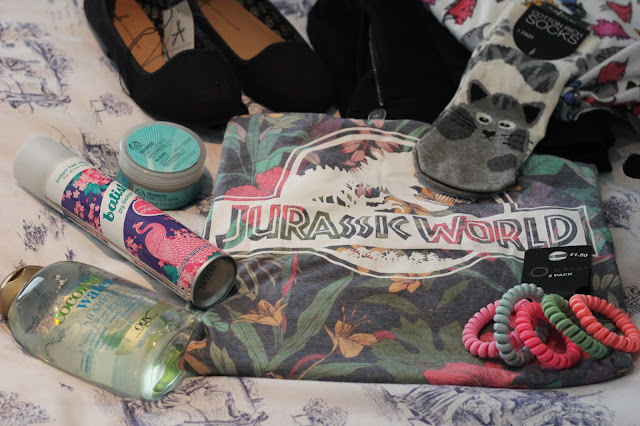 This Jurassic World top was £6 and after seeing the film on Monday I decided it was a must, plus I enjoy a geeky t shirt to go with my skinny jeans. The whole outfit looks good together, I may do a outfit post with them all. The jeans I decided on were £10, such a bargain considering I usually buy my one true love jeans from Topshop. I may still buy some on a different pay day because they fit so well but for now I am happy with the fit and style of the Primark jeans. They go really well with all my new shoes, I have been wearing my vans with everything lately so I invested in some boots and flats. The black dolly shoes I got from Primark too, they were only £4 which is such a bargain. I decided to go for black because I feel they go with all my outfits and I like clothes that are easy to wear and style. I got myself some new hair ties for work, and they were only £1.50. I ended up in Boots on this shopping trip to buy some shampoo, I decided to buy the weightless coconut water shampoo. it was on offer for £6 and I am super excited to try it out. I will do a blog post to review this soon. I also used my £5 off at The Body shop for my birthday and purchased this mud mask that I was kindly given a sample of a few months ago and loved it. In Matalan they had a few things in the sale including these boots, they were reduced from £25 to £16 which is a bargain for some decent shoes. 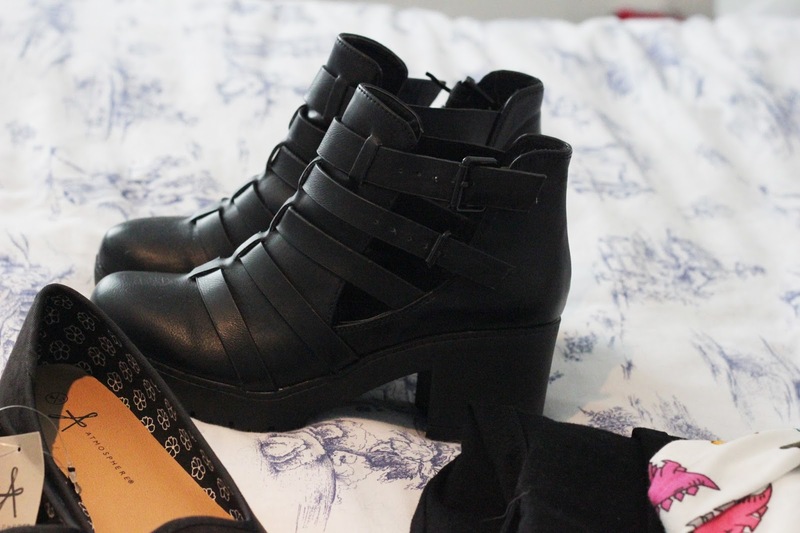 I wanted to buy these to go with my black jeans, I was in need of some shoes for going out in. They look perfect casual or dressed up which I like, simple and easy to style. I love the fact they are easy to drive in too, the buckles on the side and the cut outs look great. I really like these boots and I am excited to wear them out with my new jeans, they help me to look a little taller too which is needed. There was so many things I wanted to buy in Primark but I stuck to things I needed and small treats, maybe next pay day! Love the bag & boot! Those boots are incredible! Might have to go and see if I can find myself a pair.